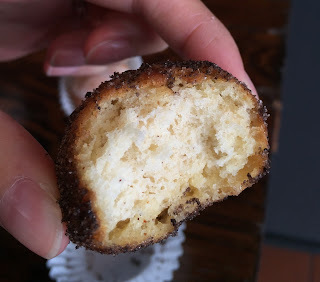 I saw good looking donuts on Instagram and learned it's from Donut Savant in Oakland, California. We went there around 1 PM on a weekday, but as there's no parking space, I got off from the car and my husband kept driving in circle that area. 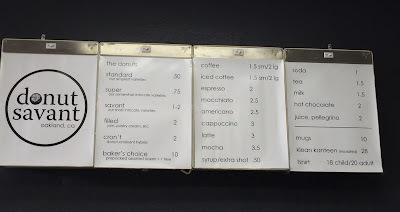 There're several kinds of donuts but only some of the "Standard" donuts were left. I think the photos I saw were "Savant," "Filled" and/or "Cron't," the last of which is described as "donut-croissant hybrid." There's no other options so I got Chocolate Dust, Maple Pean and Vanilla Glaze one each. 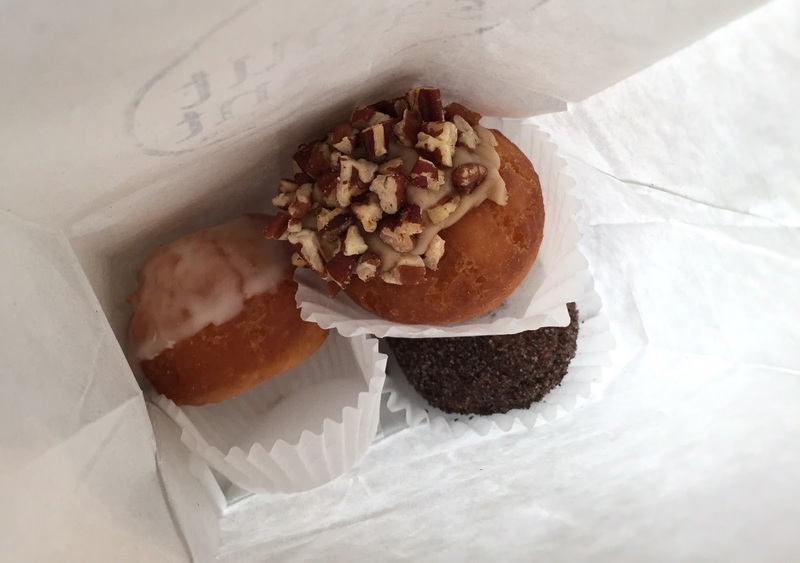 Chocolate Dust, Maple Pecan and Vanilla Glaze from the left. Plain donut was covered in dark chocolate powder. 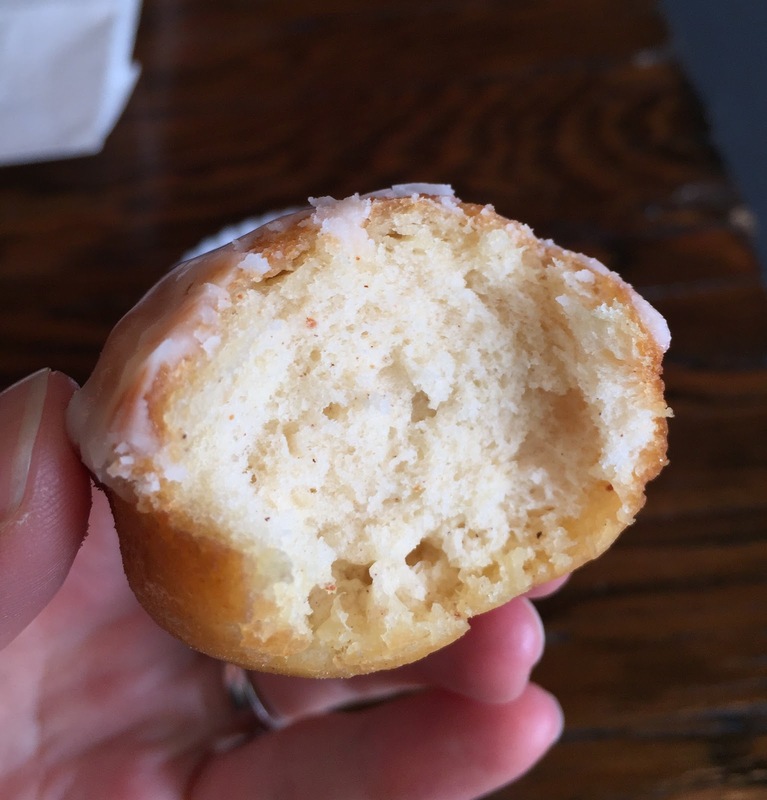 The donut was nutmeg fully loaded and incredibly salty. Maple frosting and roasted peans on the donut. The toppings were sweet and fragrant, but the dough was very salty and had strong nutmeg flavor. 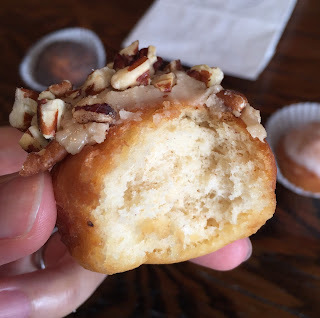 Vanilla glaze was light and crispy, yet the saltiness of the dough was much stronger with nutmeg flavor. I've been looking for plain donut, which I literally mean no cinnamon or nutmeg, for more than 2 years outside of Japan but I keep only getting donuts with spices that are somehow called plain, and so were they at Donut Savant. 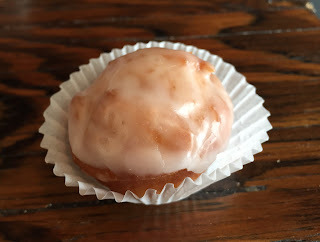 I still have no idea why these salty donuts were so famous that they sell out. * Minimum 5 dollars to use credit card.